Grind the cashews to make a fine powder. Next prepare a sugar syrup by combining water and sugar together in a pot and heating them. Stir continuously until it has a 2-thread consistency. Dissolve cashew powder in the syrup. Make the solution thick. Spread the solution on a greased plate and put silver foil on it. Allow to cool and then cut it into pieces. how much gram of kaju is needed,quantity of 1 cup. 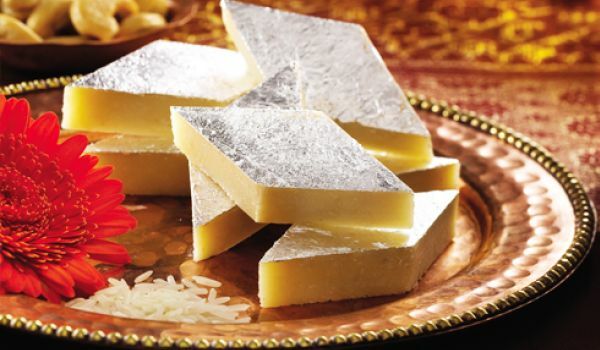 how much gram of kaju barfi we will get.